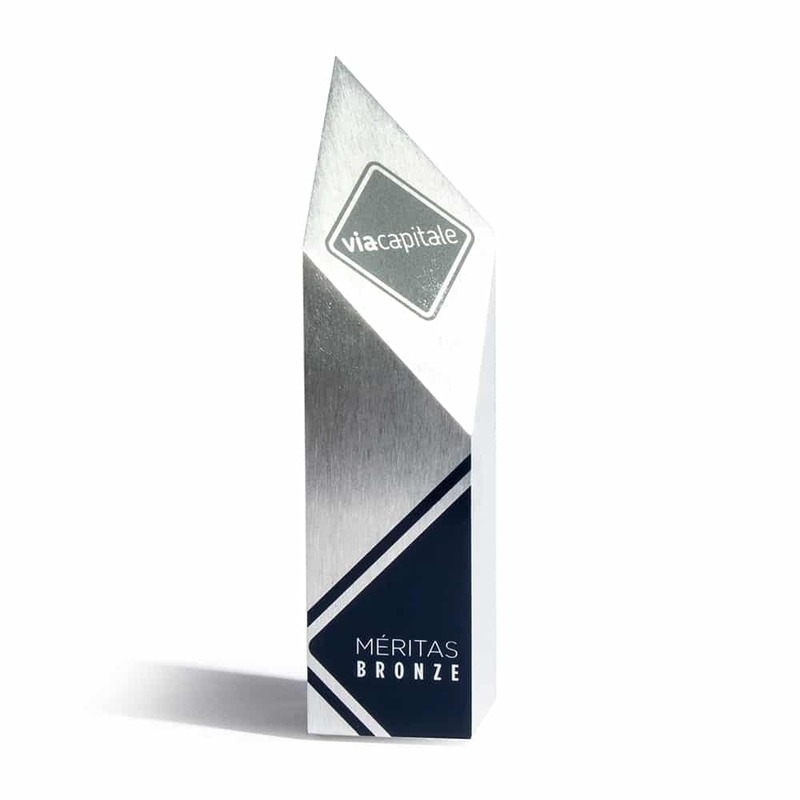 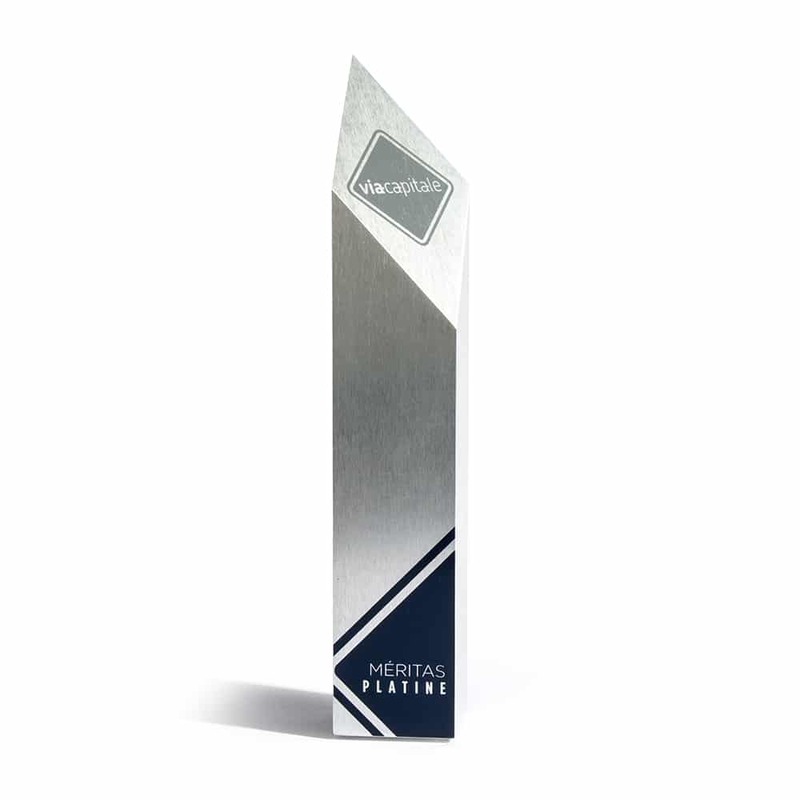 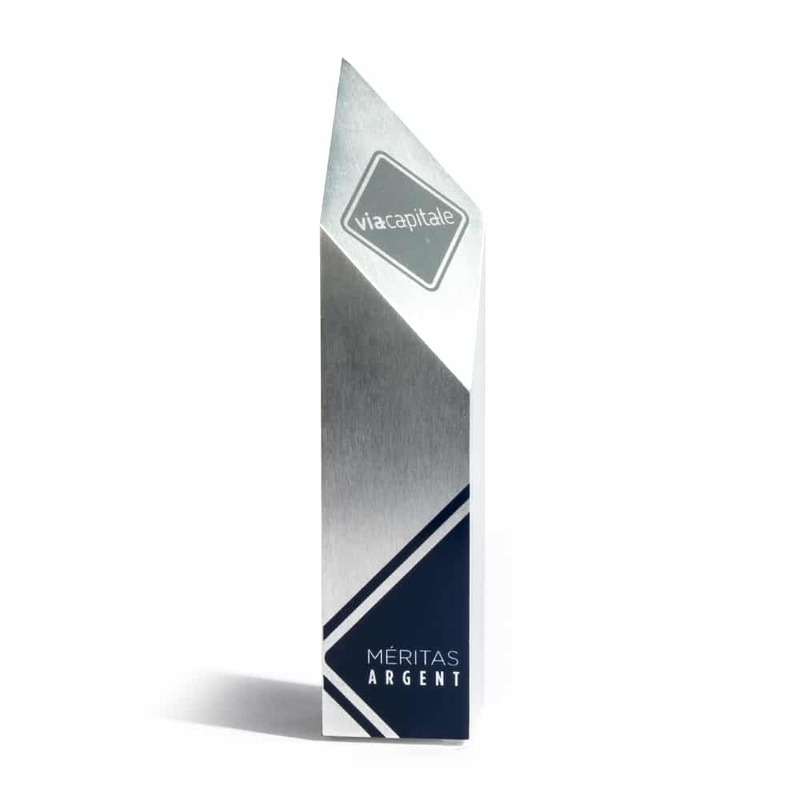 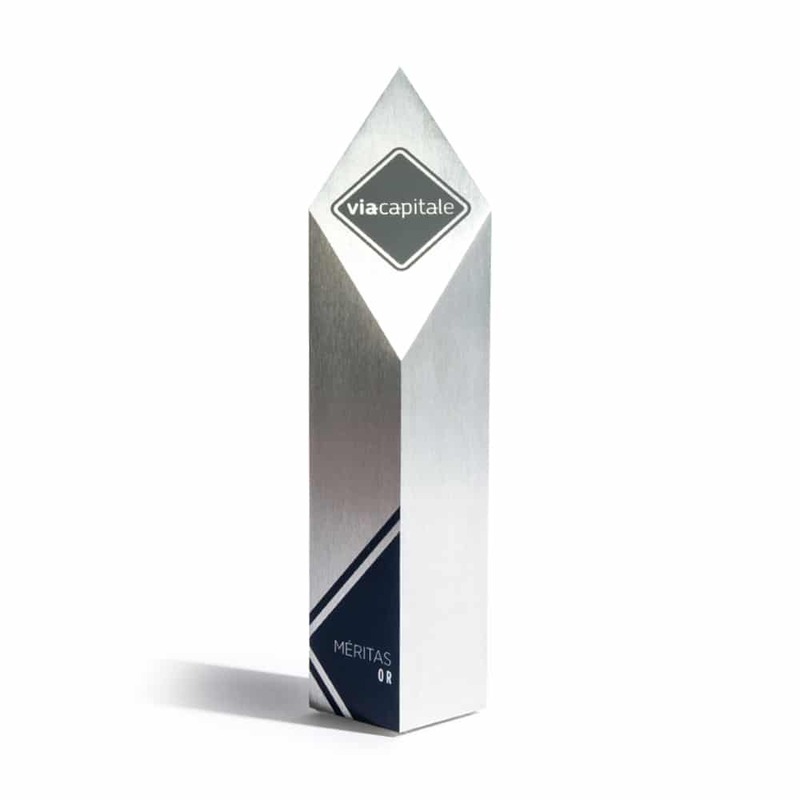 This trophy, by its design and the material used, is a symbolic gesture, measuring success and success within the Via Capitale brokers. 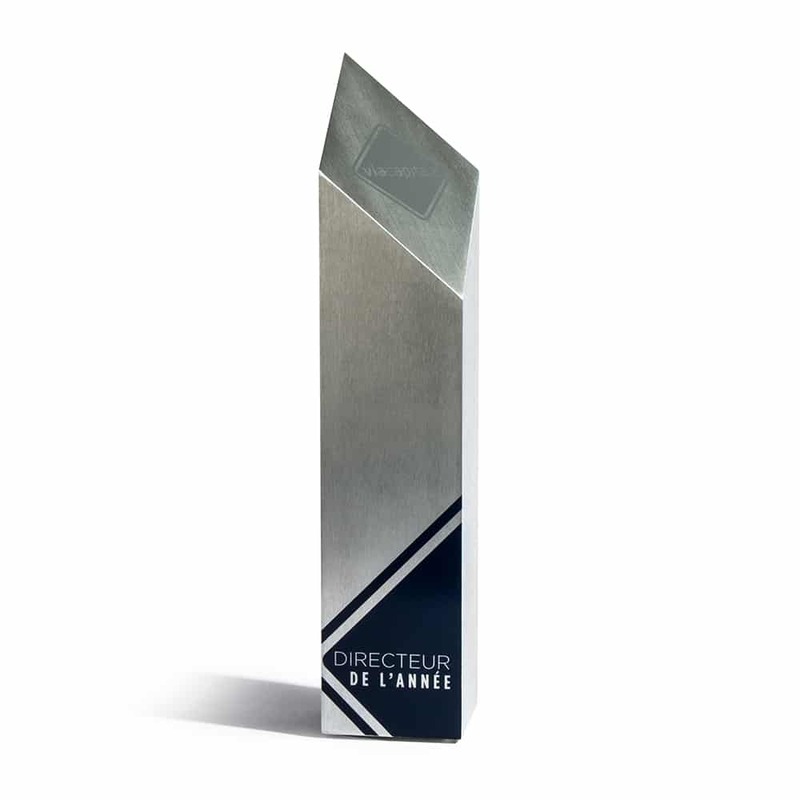 It was designed and manufactured in Québec, its slender shape, all in height reminiscent of that of a building. 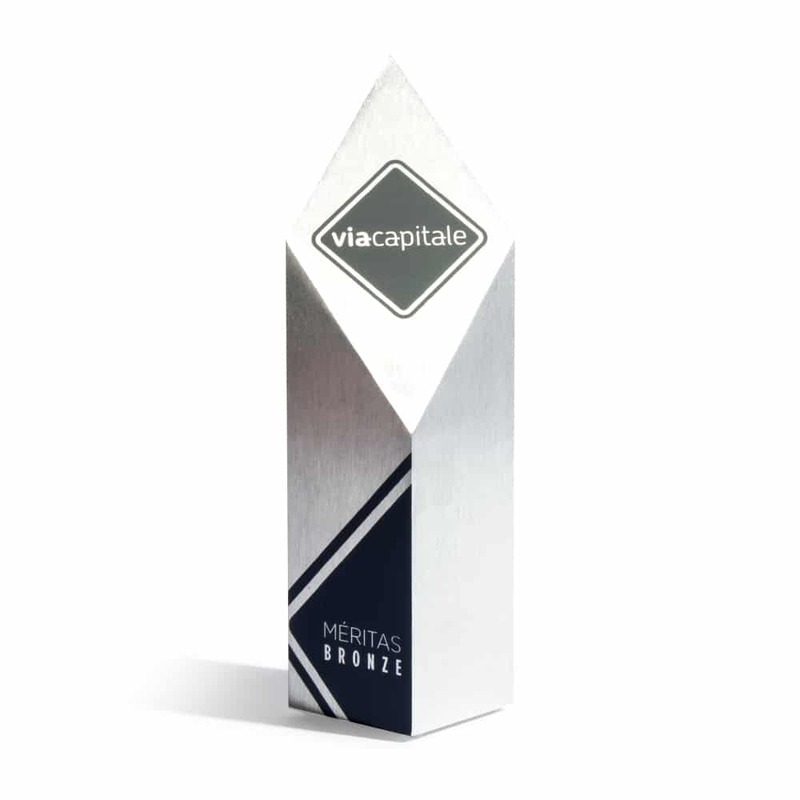 Its unique and exclusive design reminds us of the differentiated offer that Via Capitale puts forward with its customers. 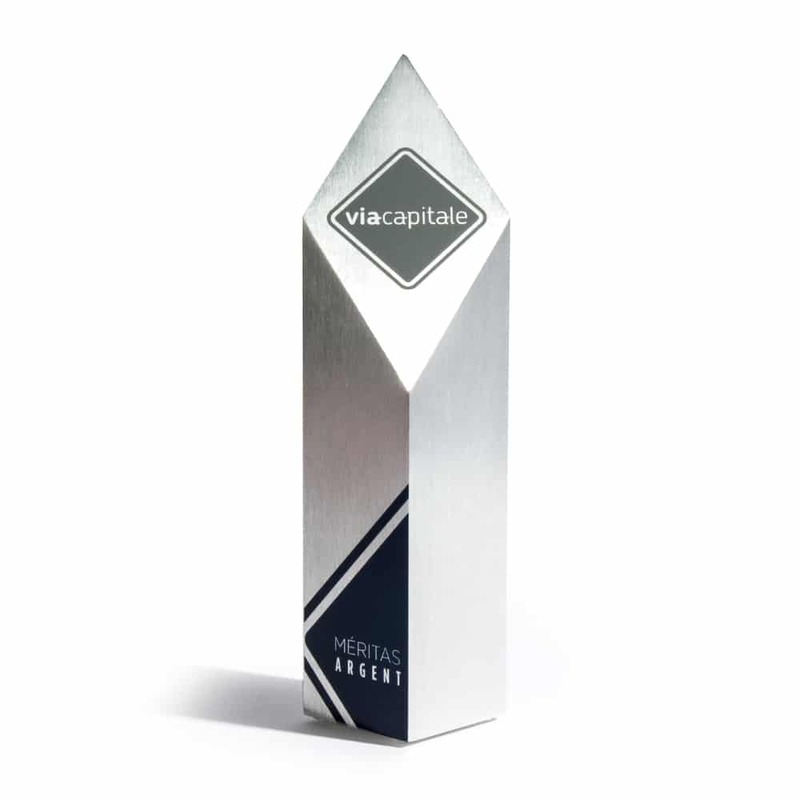 It is made entirely of solid aluminum, giving it a solid appearance, reflecting the strength of the Via Capitale network. 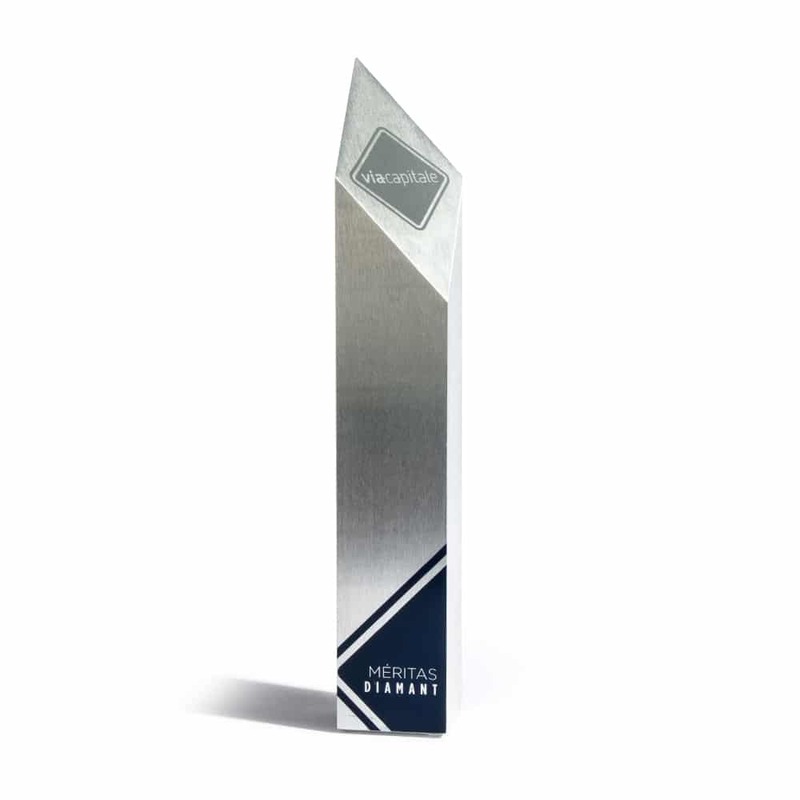 The trophy stands heavy and proud, symbolizing the importance of the role of a broker. 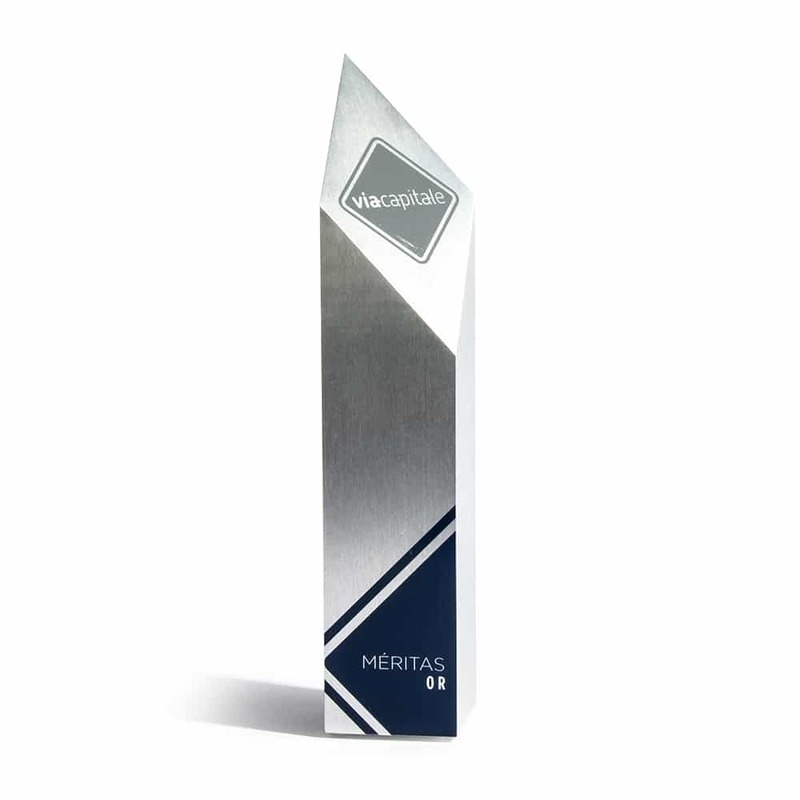 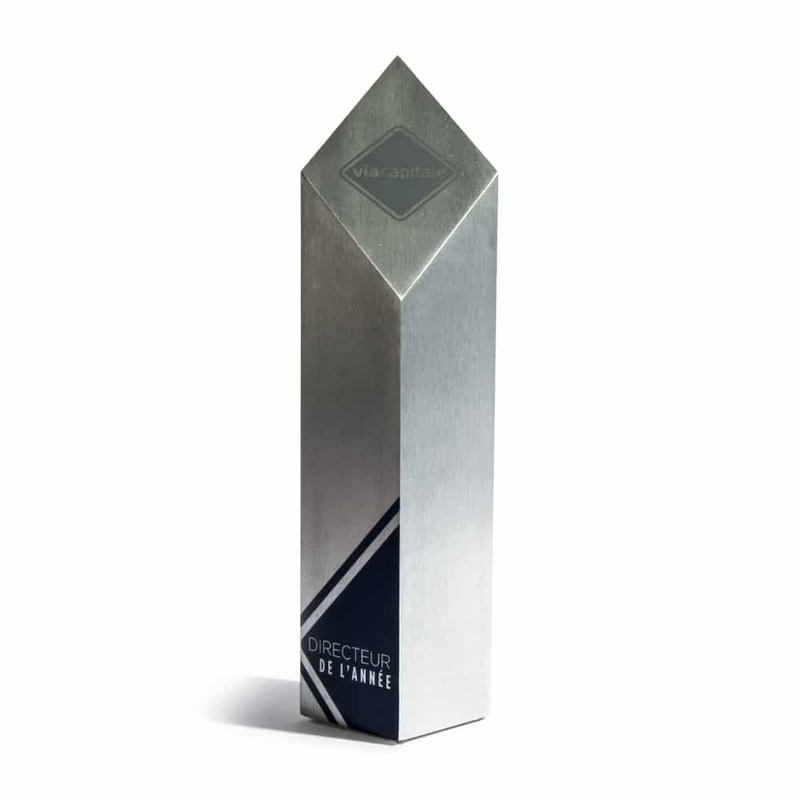 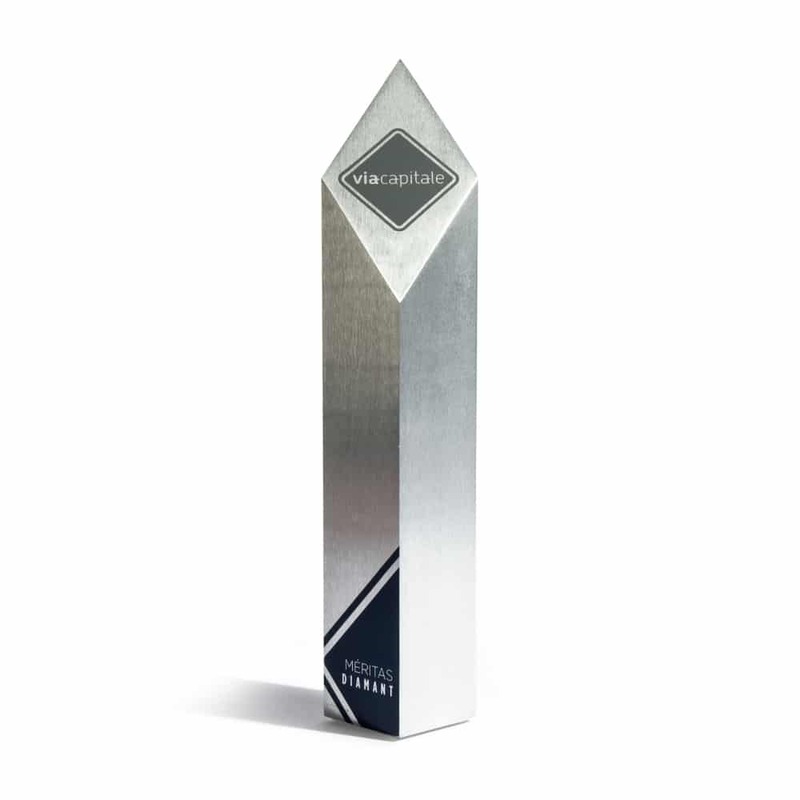 At the top is the shape of the diamond, recognized as being unique to Via Capitale, which seals the design of this trophy … It points upwards, symbolizing progress and success. 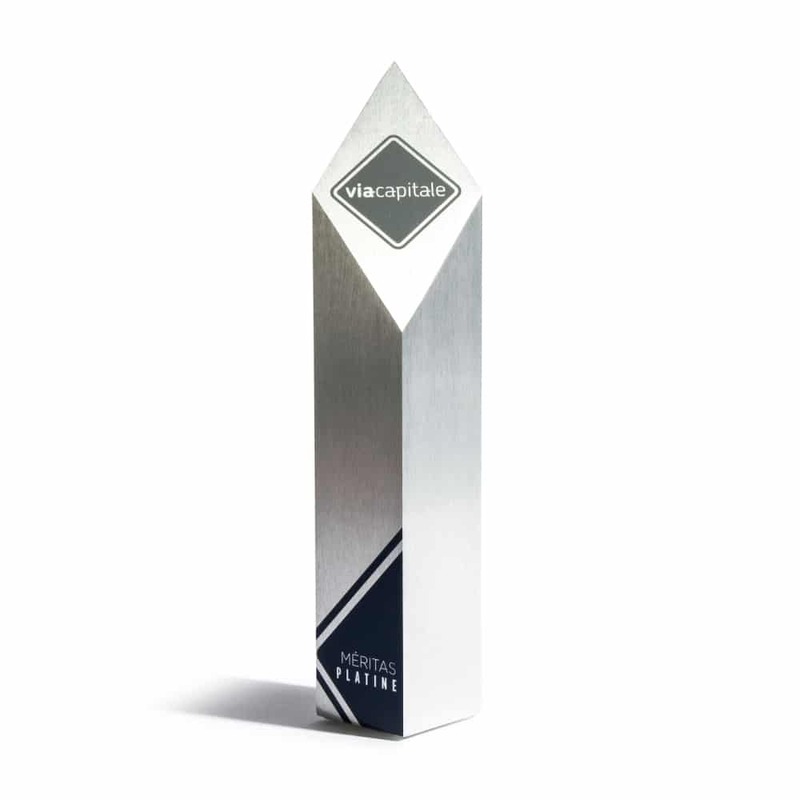 Ranging from 8" to 13"